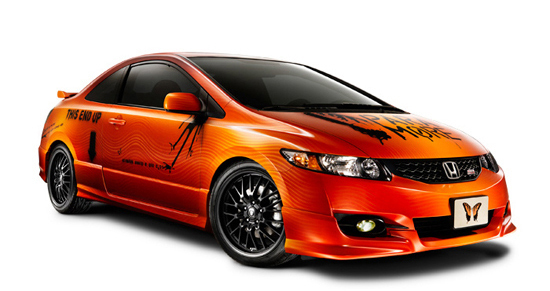 Every summer, Honda Civic teams up with a well-known rock band to put on a cross-country tour of epic proportions. 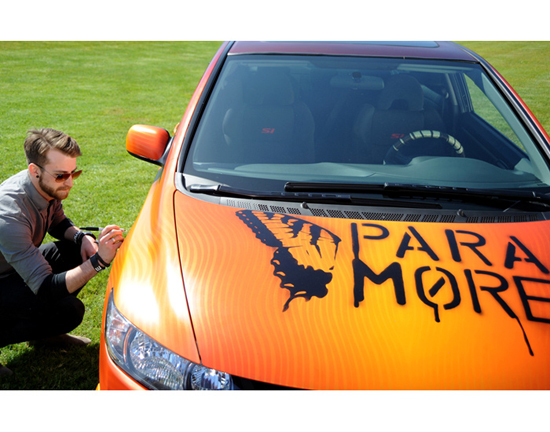 This year’s band was Paramore and we had the incredible opportunity to work directly with them – designing everything from the logo and promotional posters to skinning a one-of-a-kind Honda Civic SI Coupe and matching scooter. 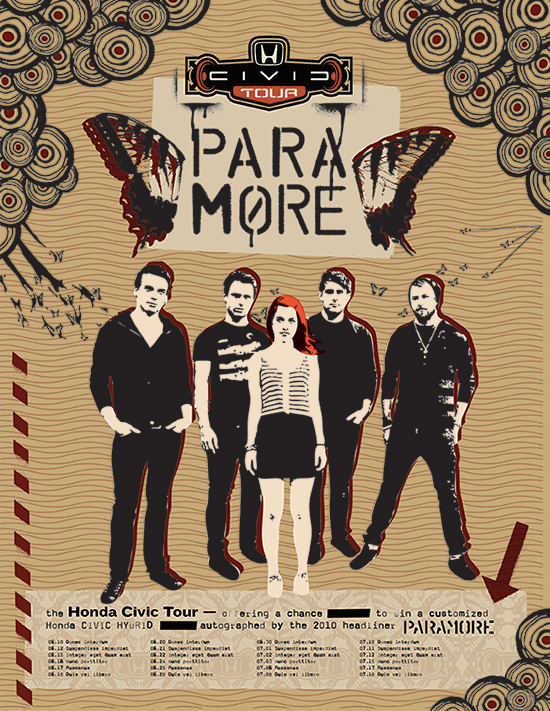 The end result was a concept that fit the personality of the Honda Civic Tour yet also captured the band’s quirkier, edgier style. Not an easy task, but definitely a fun one.